PT. 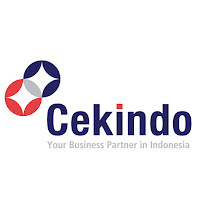 Cekindo Bisnis Grup is looking for Accounting Officer to be working in Klaten. Accounting Officer is going to join our business partner, one of the world’s leading manufacturer of designed furniture, headquartered in Hong Kong. Accounting Officer will be controlling and leading a small team of professionals, overseeing daily accounting operations of the company in full spectrum of finance and accounting duties as well as consolidations, budgeting, forecasting, taxation and business performance analysis.